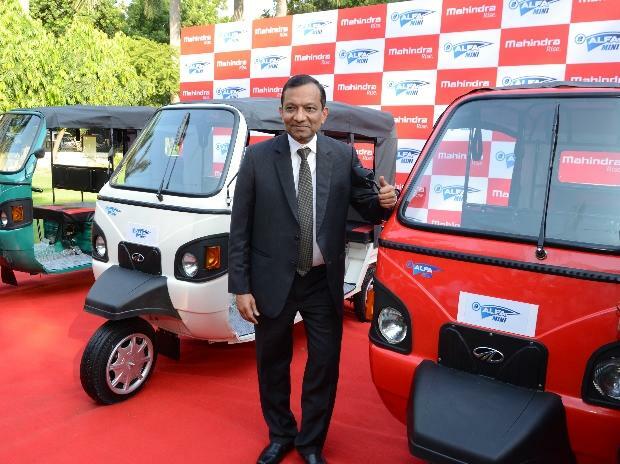 Mahindra & Mahindra (M&M) today said it will expand its footprint across major cities in the country to penetrate deeper into the e-rickshaw market which is estimated at Rs 1,000 crore annually. "We have launched e-Alfa Mini in Delhi, Lucknow and today in Kolkata, to tap the e-rickshaw market. We will expand in more cities across the country. Already, we have decided to expand to 7-8 more cities," M&M VP marketing (commercial vehicles) Mahesh Kulkarni said. Kulkarni said, e-Alfa Mini will compete in the 7,000-10,000 e-rickshaws per month market in the country. In value terms, e-three wheelers in the country is estimated at around Rs 1,000 crore as per market estimates. The market size in West Bengal is estimated at 10 per cent of the national sales. The company aims to retain a strong position in the small commercial vehicle market (below 3.5 tonnes). Kulkarni claimed M&M has 30 per cent market share in the small commercial vehicles market. The company already has electric three-wheelers, passenger vehicles and small commercial vehicles while launch of commercial buses have been been lined up. Kulkarni also invited the unorganised local players who sell assembled e-rickshaws at prices 25-30 per cent lower to buy from organised manufacturers.